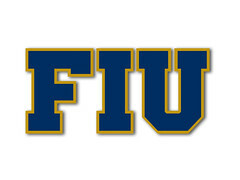 Following FIUtheproud's question, do we know who is already on campus? Cadarius Gaskin (the biggest question mark) . Feel free to update is anyone has more inside info. Thank you for the list. I think David O’Meara is also on campus. Morgan is at FIU already. Kiy Hester? Not sure if he is in. Not sure if Hester is in, but for what it's worth, he lists FIU in his Twitter bio. I don't expect any problems with Hester, considering he is a graduate transfer. Apparently Hester is staying at Rutgers. The 2018 roster is coming out. Gaskin is the only one not listed on the roster. I don’t think he makes it to FIU. Mercier, Turner, and Sanders don’t have numbers yet, but Mercier has a picture which is a good sign. Well, one thing is that you have to actually graduate in order to transfer as a graduate transfer. Was really hoping Gaskin would make it, but glad to see the class is mostly intact. It doesn’t look good at the moment, but Gaskin May have been slated to enroll in August if a scholarship opened up. Guess what, it just opened up with Hester not coming. You never know. Since he’s not a student at FIU yet, he can’t be in the roster anyways. Let’s wait a little bit longer to see if Gaskin is added to the roster. Big loss on Hester, a honorable mention BIG 10 DB. Hoping the best for him, but who knows the reason he’s not coming to FIU. He didn't end up graduating from Rutgers. No need to leave now. Big loss. But we have talent in the position, it's just young and inexperienced.